Your website speaks to your clients 24/7 – We can help you convert visitors into customers. Your website is your small business’ virtual storefront. 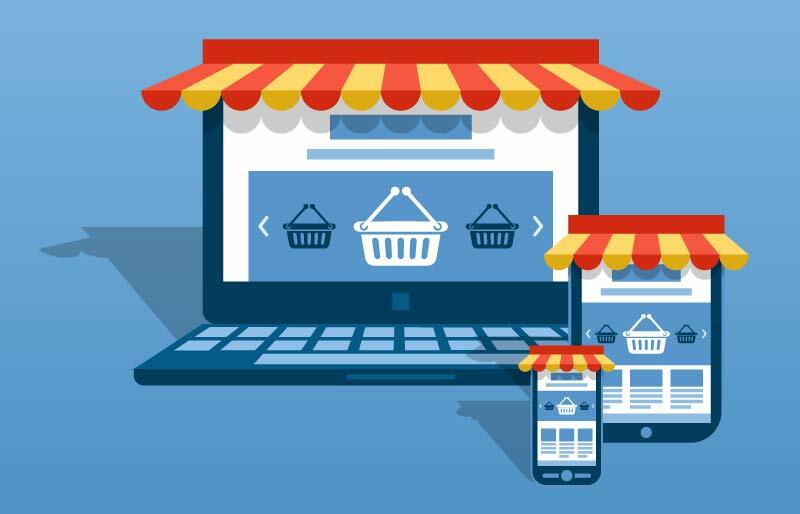 It is, therefore, important to design an eCommerce website that catches the attention of potential buyers, piques their interest, and gives them all product-related information in one go. We design and develop eCommerce sites that convert visitors into sales. Our professional web design company in Minnesota is a partner of Bicommerce.com and Shopify.com, and we offer custom Magento and WooCommerce solutions. Do you have an existing WordPress website that you want to redesign or convert into a unique marketplace for your business? We offer professional web design and customization of WordPress websites. Our team has more than a decade of experience working on WordPress websites. You can count on us to help you enhance your site or page, whether by breathing new life into its design or optimizing it for mobile and other platforms. According to research, 53% of visitors leave a mobile page if it takes more than three seconds to load. The faster a web page loads, the more likely your visitor will make a purchase. Count on our experts to create informative websites that load fast on any device. We optimize your site’s performance, so it works to keep your customers satisfied and your bottom line, healthy. Put your ideas, products, and services online with quality hosting products. We make it easy for those looking to establish their presence online to create and register a unique domain name for their website. Ask us about buying a new domain or using an existing one. Apart from reliable, fast, and secure service, we provide friendly, knowledgeable customer support to make sure your web hosting service delivers total uptime every month. As a web design firm in MN that caters mainly to small businesses, we offer comprehensive web design and development packages that will not burn a hole in your organization’s budget. Choose to start with a basic package that includes all the essentials, or go big with one that offers more features and capabilities – whatever your needs and goals are, we have a custom package for you. We offer a package that starts at just $1750. This includes a fully responsive web design, basic website security, search engine submissions, analytic features that let you gauge your website’s visibility and performance, and more. We also offer a more robust package that starts at $3500. This package includes everything that’s in the basic package, as well as eCommerce solutions including: product setup, payment processor integration, and more. Each project is unique, and the two ‘packages’ listed above are just to give you an idea of what a baseline cost could be. We will meet with you to discuss your specific website needs, and provide a custom quote for you with that information. We weigh out what you need to make your website project successful, with what works for your budget. And in the end, we strike a balance between what looks good, works well, best reflects your company and works within your budget. Our goal is not just to build your website, but to help you build an effective online presence that helps you grow your business. We make the website design process easy. Knowing you have other matters to attend to, we walk you through every stage and ensure your website is developed using the latest and most effective methodologies and techniques. Look through our portfolio to discover how we can grow your business. 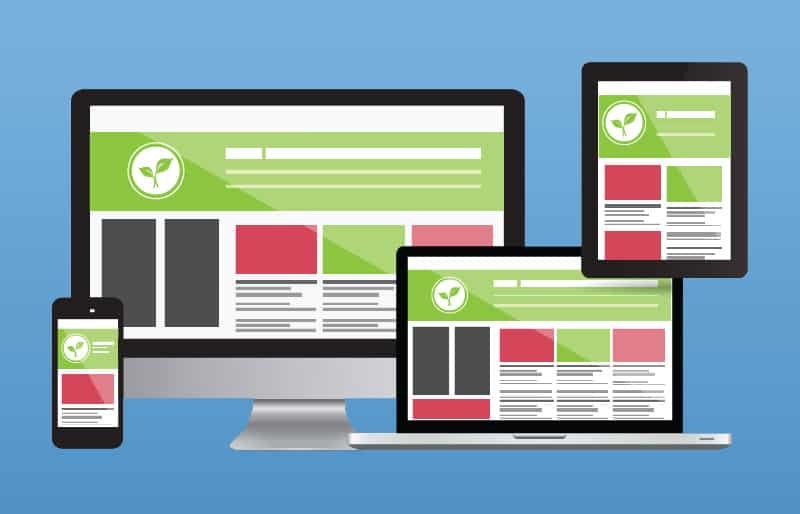 A website should be optimized for all types of platforms and screen sizes: browsers, smartphones, desktop computers, tablets, and other devices. Our talented team will design and build your website with all users in mind – no one falls through the cracks. This ensures that you’re not giving potential customers away to your competitors. As a starting point for your digital story, your website should bring all your online marketing activities. What this implies is that all your marketing channels, including web design, social media, SEO, PPC, and reputation management, should work toward retaining a unified online identity. A crucial ingredient of a good website is that it provides a streamlined experience for all visitors. An SEO-optimized website instructs search engines, like Google, Bing, and Yahoo!, to make your website appear for search terms related to your business. A well-optimized website increases your visibility to prospective customers and distinguishes your business from existing competition. Every piece of content, photo, or video on a website should enrich the visitor’s experience with your brand. Good content should also take search engines into careful consideration. Our web design services include creating content from the perspective of both visitors and search engines. Agile website design is a flexible methodology that helps web design teams cut the project costs and timeline in half. A website that has been developed using an agile approach is likely to succeed due to the experimental and collaborative philosophy that guides its strategies. There are many website tools and features available on the market, but you don’t need to have them all on your website. Our web design team builds simple websites and straightforward content that make a great impression on your current and prospective clients. Gone are the days of feature-rich and content-heavy websites. Through the years, Sievers Creative has helped countless businesses skyrocket to success through the design and development of attractive and compelling websites. Don’t take our word for it. Look at our design portfolio and the gallery of previous projects to get a glimpse of what we can do for your business. Do you offer web design services for eCommerce sites? Yes, we do. We work with various eCommerce platforms that provide our clients with useful eCommerce sites. These sites work efficiently in informing visitors and converting them into actual paying customers. We offer stress-free web hosting solutions for a small annual fee. We make the entire process of building your online presence stress-free by taking care of the entire process from start to finish and providing attentive customer service. Do you work on existing WordPress sites? Yes. If you have an existing WordPress site, we can help enhance its design or convert it into an eCommerce platform. Yes, you can. We encourage you to monitor the progress of your site, so we can be sure that the product is just as you envisioned. We welcome any feedback as well as design revisions before we release your site live on your server. Can you accommodate small businesses with a limited budget? Our company commits to helping small businesses gain exposure online. To accommodate startups and SMBs, we offer custom packages that clients may tailor to their budget. Can you help my website reach more customers? Yes! In fact, our web design packages include the submission of your new website to various search engines. Apart from web design, we offer other services that boost your online visibility, including online marketing, video advertising, and more. Feel free to explore our website or speak with one of our representatives to know more. 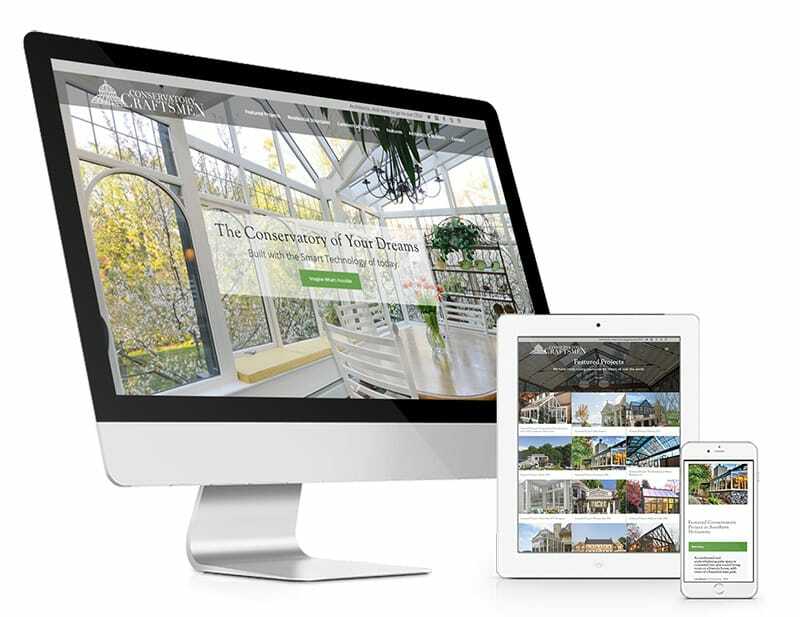 Build a strong online presence, be easily available to existing customers, and introduce your brand to prospective clients through Sievers Creative’s premium web design services in Minnesota. While we make it a point to build attractive and engaging sites, we also know that there is more to websites than meets the eye. We are aware that customers tend to leave a website if it fails to load within the first few seconds of their visit. We also know that cluttered sites with too many unnecessary pages tend to confuse users. This is why we follow industry best practices when providing website design services for businesses. We make sure your website is not only eye-catching, but also fully optimized for all devices. We make sure your visitors find the information they need with just a few clicks, and that they can navigate through your site with ease. The Sievers Creative team is composed of web design and development experts who know the elements of a website that impresses as well as converts. We work with you from the very beginning, until we can deliver a website that reflects the brand and resonates to users. Working with our web design firm means working with people who care about growing your business as much as you do. We make ourselves available to you, whenever you need us.